I've been debating writing about this topic, and that alone makes me sad. Believing in yourself isn't always easy. I feel like it becomes second nature to believe in those around you and want them to always have the best. In life, I haven't always had the most clear vision of what I want to do, other than help people. I want to make a difference in the world somehow, and it was hard for me personally when that wasn't crossing in to my professional life. Over the past few months I've interviewed for a job that I thought was way out of my league. It was super interesting to me and the interview process was very different than anything I have ever done. We're talking video interviews recording myself, timers counting down the seconds I had to answer questions and live video interviewing with 4 people at once. It was hard and as each round was complete I felt more and more confident in myself. Sometimes things spark and you realize that you were meant to do something. I've always felt very confident interviewing, but I've been at my current job for four years- that's a long time NOT interviewing. For a little while I thought that maybe I was just meant to be a Mom- because I feel that I'm good at that. I may not know everything, but I learn something new almost every day and do my very best. What I didn't realize was that you put yourself out there all the time- it may not always be doing something you feel confident with, like interviewing...but stepping outside your comfort zone, or doing something new are little bits and pieces of believing in yourself. Believe in yourself that you can complete a hard task this week. Believe that you can learn new things even if life is chaotic at times. Believe that you are deserving of beautiful experiences and new beginnings. Believe in yourself- because if you don't, no one else will. Through something that I was already confident in- I learned even more about myself. I may have been a little rusty, but when you put in the time and work hard the rewards are great. Next week I begin my new career in Underwriting for an insurance company. I am very excited for this adventure! 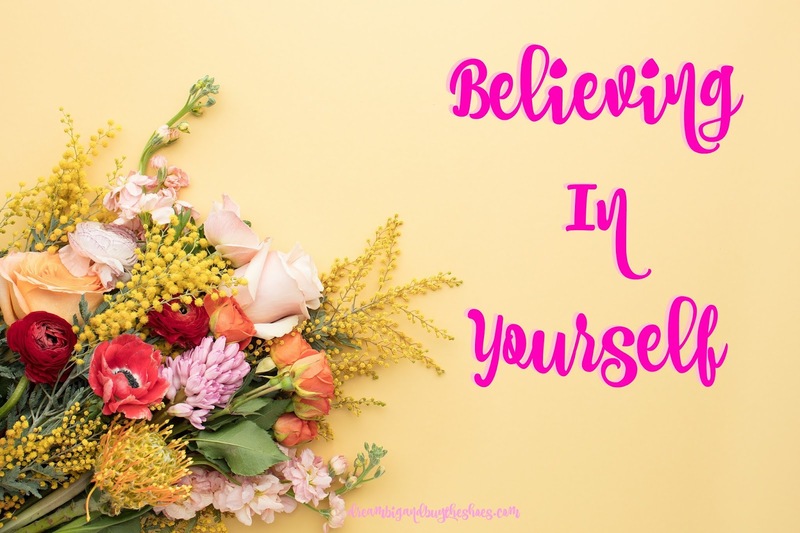 I hope that you believe in yourself today and every day- you are capable of great things!